Nokia has given us some great camera phones in the past, but the Nokia 8 takes it to the next level. Nokia has given us some great camera phones in the past, but the Nokia 8 takes it to the next level. It is the company's first dual camera phone with Carl Zeiss optics - packing in two 13-MP cameras with a combination of RGB and monochrome sensors for capturing depth images. There is an option to shoot pictures in black-and-white and colour, using regular mode or depth effect. While the images shot on the Nokia 8 were impressive, with the subject sharply visible against the blurred background, pictures captured on the iPhone 8 Plus and the Samsung Galaxy Note 8 are superior. The phone has a new 'bothie' feature that allows one to capture images from the front and rear camera simultaneously. Photos captured using this technique look like two images have been stitched together. However, this trick works well for shooting videos as two different reactions can be captured at the same time. 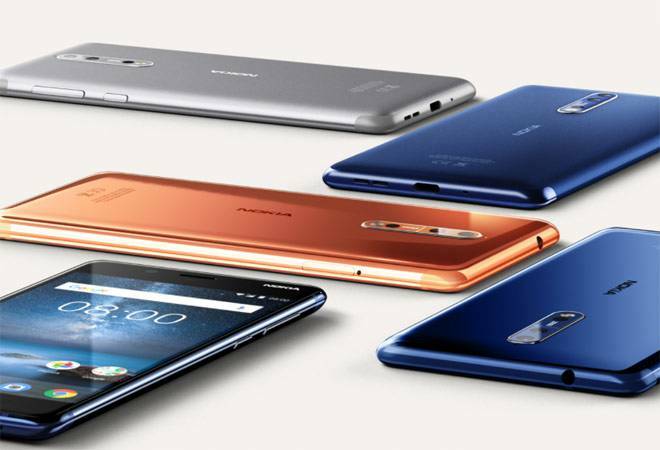 The Nokia 8, crafted from 6000-series aluminium, is compact and comfortable to hold. The 5.3-inch 2k display, protected by Coring Gorilla Glass 5, offers great colours. It works smoothly while launching VR apps or loading graphic-heavy games, but does heat up a little. It is powered by Snapdragon 835 processor paired with 4 GB of RAM. The Nokia 8 runs on stock Android; there is no bloatware. Of the 64 GB internal storage, close to 49 GB is accessible. The 3,090 mAh battery lasts a day easily. Given its top-of-the-line specs, the Nokia 8 is a pretty good buy at `36,999.